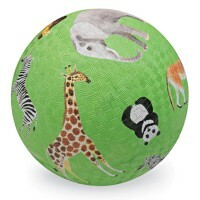 What a cool looking dino play ball, sized and priced perfect for a party favor or basket filler for preschool kids! 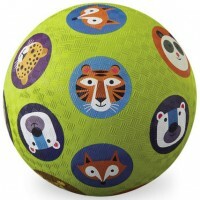 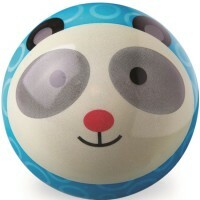 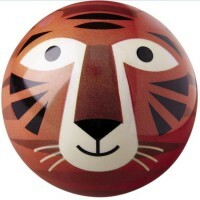 Roar with excitement playing active ball games with your family or friends! 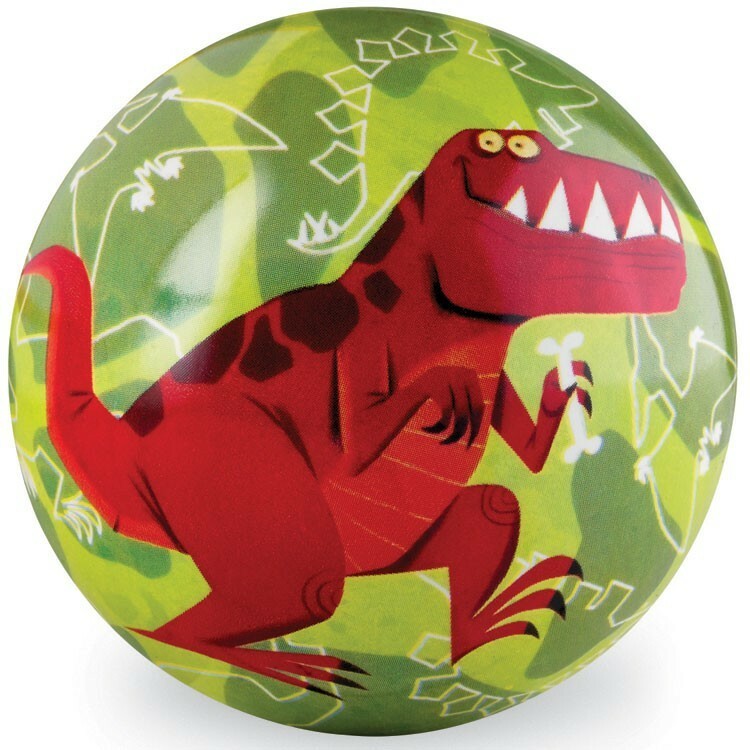 T-Rex Dinosaur 4 Inches Play Ball by Crocodile Creek is illustrated with kids' favorite dino, T-Rex, on this high quality PVC ball. 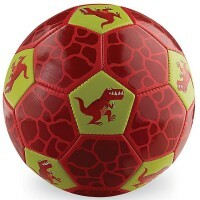 This bright green play ball is artistically designed with the funny looking bright red T-Rex. 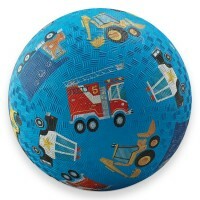 The play ball is a perfectly priced, heavy-duty inflatable ball, sized just right for kids' hands to catch and grip. 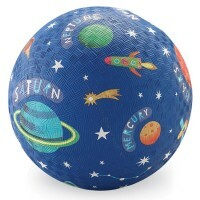 Bounce, toss, catch, kick and laugh playing with this super cool dino ball from Educational Toys Planet. 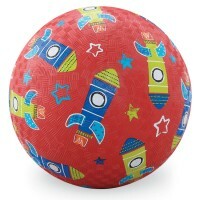 The mini balls from Crocodile Creek make a terrific sport or summer party favor, small gift, stocking stuffer, or basket filling toys. 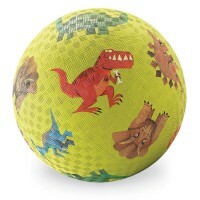 Dimensions of package 3.94" x 3.94" x 3.94"
Write your own review of T-Rex Dinosaur 4 Inches Play Ball.